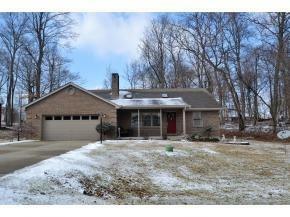 Rare find in HVL, full brick ranch on flat lot. Immaculate! Huge great rm w/WBFP, huge DR open to Kit & LR. Cath ceil., new carpet, split FP, Enclosed patio w/heat source. Newer HVAC, HWH & roof. (Built by Greg Gavin).